Hope everyone's weekend has went well. I have got a couple new items to show you today. First off is the new mesh cargo pants from Deco. I was quite suprised with the way the pants, adjusted around my hips. Most mesh pants I have dealt with so far, require much change to my shape. They come in 3 different sizes and a pair of shoes, is also included. I stumbled across this jacket from Gizza today, when I was shopping at an event. I am not sure how long its been out, but not quite sure how it didn't cross my path before today. 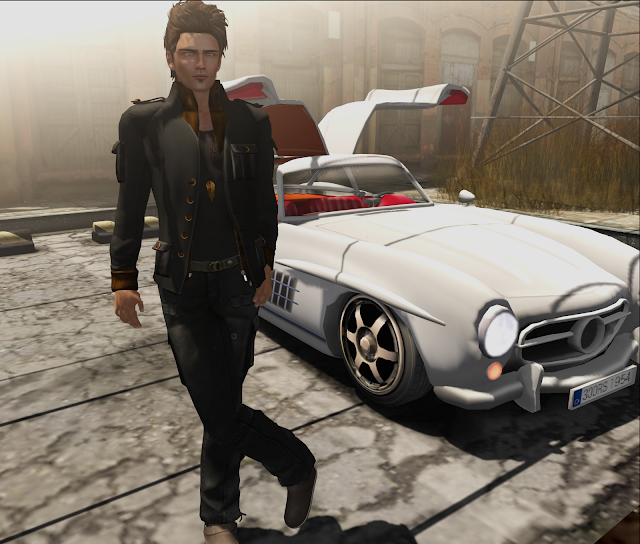 I am a big fan of stylish jackets on second life, so I was pretty excited to find this.